Home Investigations Why did Master Spy Robert Moss Secretly become a Dream Coach Guru? International master spy Robert Moss secretly shifted from toppling democratically elected leaders from around the world to become a famous dream coach guru! After recently finishing a multi-part series on the long history of “fake” news propaganda behind America’s current anti-Russia hysteria, a friend sent an email she’d received from “Bestselling Author & Dream Shaman Robert Moss.” Robert Moss currently leads seminars and workshops at some of the best known New Age institutions such as Omega and Esalen. The Robert Moss we knew once played a vital role in delivering tailored propaganda, exaggerated threats and outright fabrications to intentionally heighten Cold War tensions with the Soviet Union. The Robert Moss we knew had been a key agent in steering Western Democracies toward extreme rightwing political candidates and policies. 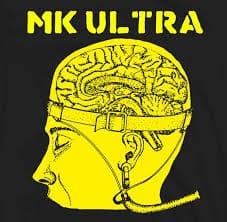 MK-ULTRA was the name for an illegal CIA research program (1950s through 1960s) that used citizens, without consent, as test subjects to manipulate mental states using drugs, deprivation and sexual abuse. The Robert Moss we knew helped lay the groundwork for the rise of the new right-wing neoliberalism, the trickledown economics of Milton Freidman and the presidency of Ronald Reagan. Moss has been described as one of the CIA’s main disinformation assets; having contributed to the military overthrow of Chile’s elected president Salvador Allende in 1973 and the subsequent atomization of Chilean democracy. In his work for British intelligence it was Moss who wrote the famous speech that transformed Margaret Thatcher from a racist anti-immigrant campaigner into Britain’s “Iron Lady” in January 1976. It was Moss who tutored Iran’s top SAVAK agent in a last minute attempt to save the Shah and it was Moss who propagandized on behalf of South Africa’s Apartheid regime. For reasons that are not explained, there is no mention on Moss’s website that before he turned to dream work he was a protégé of notorious CIA and MI6 operative Brian Crozier. Along with the CIA and MI6, Moss left a high level and successful career as a master propagandist (i.e. an expert in lying) working for the Institute for the Study of Conflict ( ISC) and Forum World Features , a London based CIA propaganda news service which operated from 1965 to 1974. Nor is there mention of his relationship to the Pinay Cercle, a secretive international policy group which continues to this day to bring together financiers, intelligence officers and politicians with links to fascist organizations and political factions from around the world. Apparently unknown to his New Age audience, Moss was once infamously well known to the intelligence world. His roman à clef novel The Spike with co-author Arnaud de Borchgrave aimed at undermining the credibility of Vietnam era war correspondents like Seymour Hirsch – by portraying them as agents of the KGB. And his work on an anti-Palestinian narrative with Crozier, helped to establish the blueprint for the endless war on (Islamic) terror kicked off with 9/11. In the interest of what some might call, “full disclosure” one would think Robert Moss would want to come clean about his past, rather than cast doubt on his motives. Trust is a vital commodity for those engaged in the intimate work of dreaming but Moss’s lack of candor raises questions. Both the CIA and Britain’s MI6 were known for their research into the military uses of psychic phenomena. The techniques for joint dreaming (entering the dream of another person) that Moss offers in his workshops, were explored long ago by the CIA’s Project MKULTRA and Britain’s Tavistock Institute. Far from being fictional, the theme of the 2010 Leonardo DiCaprio film Inception is the corporate expression of weaponized dream research done by the CIA and MI6. The film deals with the commercial uses of dreaming in order to plant ideas in others for profit. Many viewers may have assumed the film was just fantasy but if a man with Moss’s capabilities in the collective unconscious has moved with his talents into the dream world, one might ask whether weaponizing the dream world isn’t part of the plan. The objectives of Project MKULTRA “involved the use of many methodologies to manipulate individual mental states and alter brain function.” The project was kept secret from its unwitting victims for two decades before being exposed, but there is no reason to assume research into the methodologies to manipulate mental states, ended there. The purpose of propaganda is to seed the unconscious with misinformation and what better way to reach the unconscious than dreams. An even better vehicle would be to seed a willing dreamer and it’s here that Robert Moss’s nondisclosure begs the question. Is the New Age movement being secretly penetrated and are the willing victims aware that they may at some future date be used as weapons? 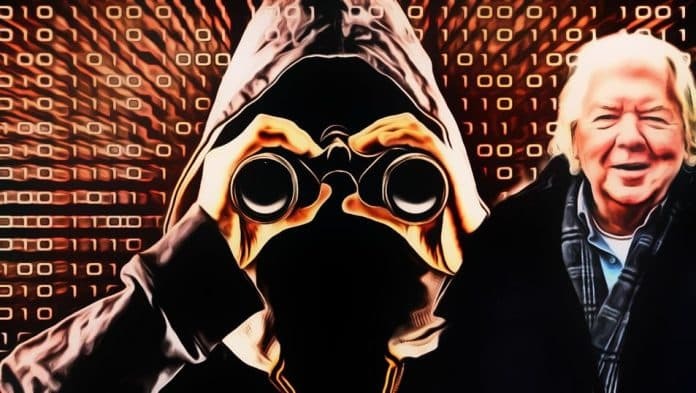 Even more troubling, it makes one wonder how much of the New Age movement itself may have been secretly weaponized without disclosure by other “retired” agents. Could Moss be the only highly trained agent offering spiritual workshops to New Agers without proper acknowledgement regarding their past affiliations? Did Moss get any training or support from the CIA for his dream research? Is Moss really helping New Agers achieve higher consciousness or is he engaging in mind control? These are critical questions that must be asked before attending a Moss workshop or even reading one of his books. CONCLUSION: When Moss left the field of intelligence in 1987 to begin writing his books and offering dream workshops, both American and British intelligence had already spent decades developing military uses for psychic phenomena. It is necessary to ask the question before attending one of his workshops; is it possible for Moss to put his previous experience at deceiving the public (through propaganda) behind him. The fact that Moss fails to put his very scary background as an intelligence operative upfront on his website cannot be ignored by anyone, especially his students. Previous article9/11 and the crisis in Catholicism: Mainstream paper publishes HERESY! I will take a guess what Robert Moss is doing. Looking for recruits or patsies. The article is very enlightening !!!! Good job.